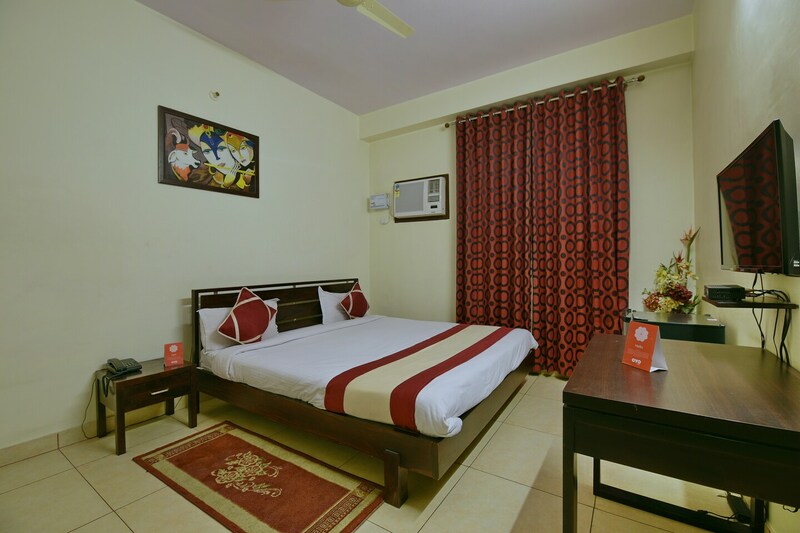 Rooms with a classy decor equipped with modern amenities for a comfortable stay. Hari Villa Holiday Home is one full-service homestay that promises you comfortable and cozy stay. Tastefully designed with a minimalistic decor and beautiful paintings, the homestay is welcoming and warm. The room is also well-equipped with wooden furniture for guests to relax during their stay. The rooms are spacious and have basic amenities including geyser. There is a nice seating area for you to have tea or coffee. CCTV cameras are installed across the hotel for the security of your stay. Guests can enjoy uninterrupted and free internet services during their stay. The hotel also has laundry services and parking facility. The hotel has many popular restaurants nearby which offer tasty treats.